Brian Renshaw joined us on Learn OmniFocus LIVE to share how he uses OmniFocus 3 to manage his multifaceted life, that includes being a student, teacher, administrator, husband, and father. Brian is a seasoned OmniFocus user and a long-time member of the Learn OmniFocus community. He has experimented with many different ways of using OmniFocus over the years. His current implementation embraces the philosophy of making things as simple as possible, but no simpler. He makes good use of OmniFocus' extensive feature set and has embraced the convenience and consistency that comes with automation. He also emphasizes the importance of processing the email inbox regularly and shares how he bypasses the inbox in certain instances, reducing the amount of processing that's needed. Brian took us on a tour of his OmniFocus setup and workflows, highlighting how he's making extensive use of tags, projects, and custom perspectives to juggle his many responsibilities. How Brian has simplified his OmniFocus setup over the years. The role that tags and projects play in his system. Custom perspectives that make it easy to get to key actions. Siri Shortcuts that make it convenient to quickly add actions to a specific project. How to efficiently send group emails with Siri Shortcuts and Drafts. 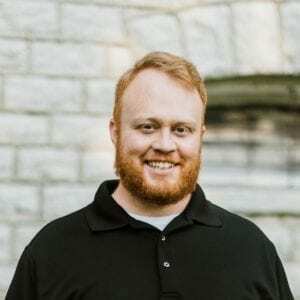 Brian Renshaw is a New Testament doctoral student who will be taking comprehensive exams in May 2019. In addition to being a student, he teaches as an adjunct, both online and on-campus for the college, and works full time in the Provost Office. He began using OmniFocus over eight years ago when he was a college student. His use of OmniFocus has changed drastically over the years. Brian has a lot going on. He shared that OmniFocus "it is the only app keeping me sane" and speaks to the benefits of being able to track everything that's going on his life. Brian blogs about tech, productivity, and writing on his personal site, brianrenshaw.com. Brian's Blog — You'll find a wealth of information, including plenty of OmniFocus-related posts, on Brian's blog. Siri Shortcut: YouTube to OmniFocus — When Brian comes across a YouTube video that he plans to watch, he uses the YouTube to OmniFocus Siri Shortcut to add it to OmniFocus. Siri Shortcut: Articles to Read — Brian talked about how he adds articles that pique his interest to Instapaper. Prompted by a repeating OmniFocus action, he reviews his Instapaper database regularly. When he identifies an article that he wants to pull from this digital stack, he runs the Articles to Read Siri Shortcut to add it as an action in OmniFocus. Siri Shortcut: Send Discourse Forum Posts to OmniFocus — Brian frequents a number of forums based on the Discourse platform, including the Omni Group's Forums. When he comes across a post that he wants to review in detail or one that will require a fairly lengthy reply, he uses a Siri Shortcut to "bookmark" this item in OmniFocus. The Siri Shortcut: Send Discourse Forum Posts to OmniFocus post on his blog explains this process in detail. Remapping the CAPS LOCK Key — Brian demonstrated how he invokes the OmniFocus Quick Entry window by pressing "O" in combination with the Caps Lock key. He turned the Caps Lock key into a modifier key by applying a trick he learned from Brett Terpstra. Using Drafts and Siri Shortcuts to Send an Email — During the session, Brian shared how he uses a combination of Drafts and Siri Shortcuts to quickly compose emails without the distraction of seeing his email inbox. He provides a detailed account of how this can be accomplished in this post. Panobook — Brian uses pen and paper alongside his digital tools and is a big fan of the Panobook panoramic notebook by Studio Neat.